Verizon’s Moto Z Droid and Moto Z Force Droid phones have started receiving the Android 7.1.1 Nougat update. This Update is being made through OTA (over-the-air) alongside with the Android security patch of July 2017. As the update is being delivered over the air, you may want to wait a bit longer if it has not reached your Moto Z or Moto Z Force phone yet as it may take a while before it hits all the devices. 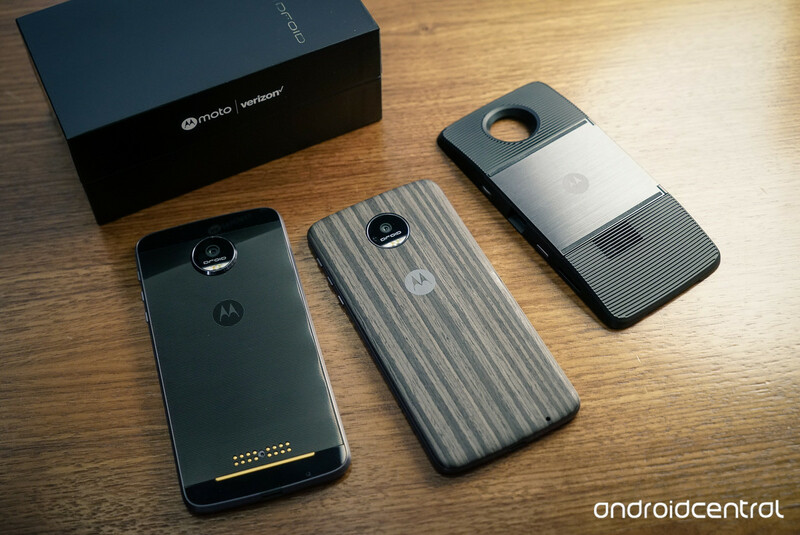 The Moto Z Droid was first announced in July to be at the receiving end of the Android 7.1.1 Nougat update. The update enables the automatic installation of the Google Duo video calling app once complete, among other improvements. The Moto Z Droid being released in September 2016 sports a 5.5-inch Quad-HD Super AMOLED display. It is powered by Qualcomm’s Snapdragon 820 System-on-a-Chip. It also packs 4GB of RAM, 32GB or 64GB of expandable internal storage and a 2,600mAh non-removable battery. The phone boasts a 5-megapixel front camera and a 13-megapixel rear camera and was introduced to the public running Android 6.0.1 Marshmallow. With this recent update, it means that if you are using a Motorola device, you will now see the features offered by the Android 7.1.1 Nougat, which includes round icons showing up in the dock and app shortcuts when tapping on certain app icons. However it remains unclear, when and how the Moto Z Droid and Moto Z Force Droid phones are getting the update for Google’s latest operating system version, Android 8.0 Oreo. If the update alert hasn’t shown up for you it’s always possible for you to check manually if the update is available by heading to the Settings app on the phone. From there, go to the About Phone section and click on the System Updates option where you’ll be instructed to download the package if it’s available. It’s also a good idea to make sure to have your handset powered up to at least 50 percent battery life before initiating the download process, and connecting your device to Wi-Fi before starting the download is a strong recommendation as well if you’re worried about hitting data speed limits.